Tech policy has gotten scant attention in the 2016 election, but Uber and the sharing economy are starting to break through. While Trump hasn’t said much, if anything, about ride sharing, erstwhile Republican candidates like Marco Rubio, Jeb Bush, and Carly Fiorina spoke favorably about the on-demand economy and urged government to largely stay out of the way. If the GOP is generally pro-Uber, are Democrats less uniform in their approach? 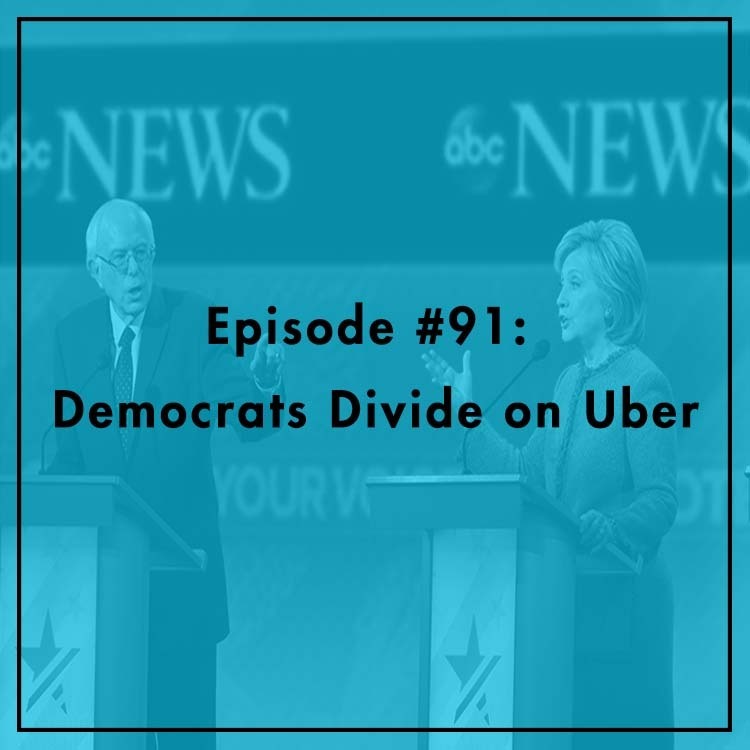 How do Sanders and Clinton feel about the sharing economy? What about high-profile Dems like Elizabeth Warren. Evan is joined (again…) by Manhattan Institute fellow Jared Meyer to discuss Uber in the election and his new book Uber-Positive: Why Americans Love the Sharing Economy.